Successfully Added Lenovo X3 Lite Smartphone - 5.5 Inch FHD 1920 x 1080 Display, Powerfull Octa-Core Processor, 3300mAh Battery, 13MP Cam (White) to your Shopping Cart. Affordable smartphone with amazing specifications. 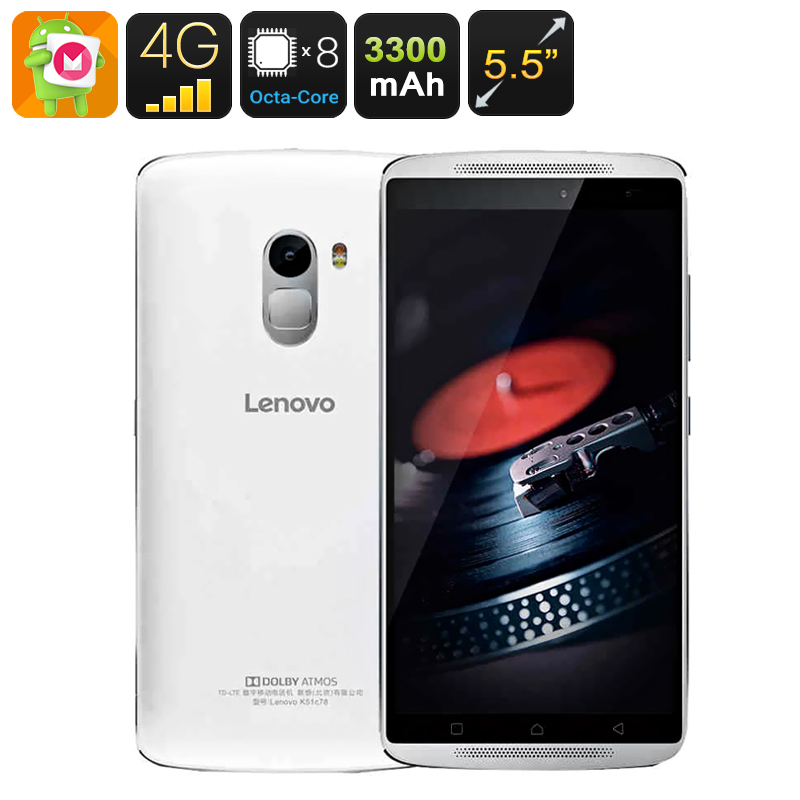 This Lenovo X3 cell phone offers everything that you could expect from a high-end smartphone for a low price. Large HD display, powerful processor, NFC, long lasting batery, and a 13MP camera. This phone has it all. Don’t let the relatively cheap price of this smart phone fool you. Lenovo’s X3 lite is considered as a budged segment handset; however, it does come with a set of remarkably great specifications that are able to satisfy all users by creating a high level user-experience. This smart phone has been equipped with a powerful Octa-core processor that enables you to enjoy all your apps, games, and media to the most. The processor has been equipped with 2GB RAM to ensure that the dreaded lag will no longer bother you while using this smart phone. The 5.5 Inch HD 1920 x 1080 screen makes this device ideal for all multimedia purposes as it is guaranteed to deliver a stunning high quality viewing experience. Its powerful 3300mAh battery with its continues use time up to 8 hours furthermore allows you to enjoy all your multimedia activities to the most without being frequently interrupted by a lack of power. For those of you who love taking pictures, the Lenovo X3 Lite has been equipped with 13MP primary camera capable of taking pictures of breathtaking quality. The telephone furthermore has a 5MP snapper located in the front of the phone, ideal for all selfie lovers. Its Dual-SIM capabilities that support both 4G and 3G gives you the possibility to be connected to the internet at all times, allowing you to share your favorite moments and pictures at any time with your loved ones. The lenovo X3 lite is the perfect choice for those of you who are looking for smart phone with high specifications for an affordable price. The phone has a smooth and modern design that leaves no fingerprints. Despite its large 5.5 inch screen the phone itself is relatively light in weight. Its modern design, large and HQ display, combined with its powerful processor make this phone perfect to be used for both business and leisure purposes. The Lenovo X3 Lite Smartphone comes with a 12 months warranty, brought to you by the leader in electronic devices as well as wholesale Lenovo cell phones..